John Laughland. Biography. | Interportal "Fascism-XXI at your door"
Home » John Laughland » John Laughland. Biography. John Laughland was born September 6, 1963. British eurosceptic conservative journalist, academic and author who writes on international affairs and political philosophy. Laughland has a doctorate in philosophy from the University of Oxford, studied at Munich University, and has been a lecturer at the Sorbonne and at the Institut d'Études Politiques de Paris. Since 2008, he has been Director of Studies at the Institute of Democracy and Cooperation in Paris. 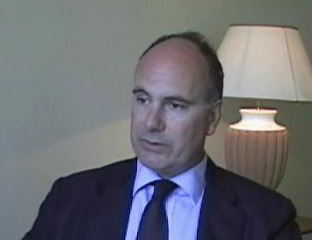 John Laughland has written extensively on international criminal justice, condemning the International War Crimes Tribunal in The Hague on the grounds that the UN Security Council resolution that created it was illegitimate (the Security Council acted ultra vires by creating it) and because he disagrees with its judicial procedures, e.g. admissibility of hearsay evidence.